ICRA has downgraded its long-term rating for McLeod Russel from ICRA AA- to lCRA A alongwith the short-term rating also downgraded from ICRA A1+ to ICRA A2+ with a long-term negative outlook. The ratings downgrade implies a reduction of assurances in McLeod’s ability of timely servicing its financial obligations and credit risks. The revision comes at a time when this Williamson Magor Group (WMG) company has been selling its tea estates in India as well as Africa to pare its debt. ICRA said continued deterioration in the company’s profitability on account of lower price realisation on tea in the backdrop of rising production costs, which along with debt funded high exposure to group companies, have kept the capital structure stretched and debt coverage indicators under pressure. According to the ratings agency, the liquidity position of McLeod Russel also witnessed considerable deterioration. Although the company used almost Rs. 470 crore - the proceeds from the sale of the first tranche of gardens - to reduce debt, the total debt outstanding still remains high on account of increased exposure to group companies. In its rationale, ICRA noted, “Although ICRA notes that the company has plans to reduce its debt over the short term, continued exposure to group companies, albeit reduced, would keep McLeod Russel’s borrowings elevated at least over the short term. In addition, input costs pressures is expected to keep the operating profitability of the company under pressure, notwithstanding the cost control exercises undertaken”. On a consolidated basis, McLeod Russel reported a net profit of Rs. 314 crore on an operating income of Rs. 1134 crore on a standalone basis for the nine months ended December 31, 2018. In the 2017-18 fiscal year, this WMG entity reported a net profit of Rs. 219.2 crore on the back of an operating income of Rs. 2055.1 crore, against a net profit of Rs. 64.5 crore on net sales of Rs. 1772.1 crore in the 2016-17 fiscal year. For years, company officials have been complaining about muted auction prices especially for crush, tear, curl (CTC) tea and the rise in prices haven’t been to the extent of increase in production costs. 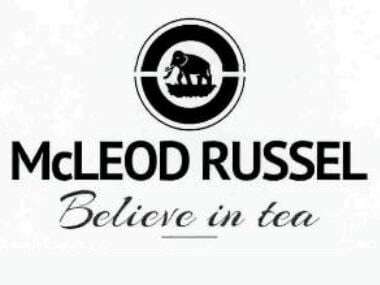 Around 96 per cent of McLeod Russel’s production accounts for the CTC tea. A term loan of Rs. 360 crore and a part of fund-based bank facilities of Rs. 491.76 crore have been downgraded from ICRA AA- to ICRA A, while a second part of fund-based bank facilities, amounting to Rs. 163.92 crore have been re-rated as ICRA AA- & ICRA A1+ to ICRA A and ICRA)A2+. All these re-ratings have been assigned a negative outlook. Non-fund-based bank facilities of Rs. 15.41 crore have been rated from ICRA A1+ to ICRA A2+. The ratings agency has also requested McLeod Russel to furnish a monthly 'No Default Statement (NDS), in a prescribed format on the first working day of every month, confirming the timeliness of payment of all obligations against the rated debt programme as well as inform it forthwith of any default or delay in the payment of interest and principal amount against the debt programme, or any other debt instruments or borrowings. In its letter to McLeod Russel, ICRA said, “Further, you are requested to keep us informed of any other developments that could have a direct or indirect impact on the debt servicing capability of your company, with such developments including, but not limited to, any proposal for re-schedulement or postponement of repayment against any dues and/or debts of your company with any lenders and/or investors”. Over the rationale for a negative long-term outlook, ICRA justified that the outlook is based on the expectation that input cost pressures would continue to impact the operating profitability and cashflows from operation, which along with elevated debt quantum on account of the exposure to group companies would keep coverage indicators depressed and liquidity stretched. However, this outlook can be revised to stable in case of a significant increase in prices relative to costs, thus leading to healthy operating profitability or higher than expected reduction in exposure to group companies leading to lower debt. The quantum and timeliness of the reduction in debt would be a key rating sensitivity, ICRA said. In the recent past, McLeod Russel has sold 12 tea estates in Assam and has signed preliminary agreements to sell more gardens in Assam, Dooars an Africa. Post conclusion of the sale, the company would have capacity to manufacture around 42 mkg of tea from own leaves.